Located near Asheville, North Carolina, the Biltmore Estate is a large private estate that has become a popular tourist attraction in the area. It is the largest privately owned house in the US at 175,000 square feet, and it is considered one of the best remaining examples of the Gilded Age. The mansion sits on nearly 11 square miles of land and was built by George Washington Vanderbilt II in the late 1800s, taking six years to complete. It was the family home for George and his wife Edith and was also a place where they could entertain friends and family. George had fallen in love with the Blue Ridge Mountains and Asheville during his first visit in 1888 and it was just the next year that he started construction on his massive French chateau. George Vanderbilt was only 25 when he started construction of the Biltmore Estate, and over the years, he filled it with furniture, bronzes, paintings, and carpets from his travels in Europe and the Orient. Sadly, he died at only 52 years old, but the residence is still owned by family descendants. The Vanderbilt empire was an important one because they were once the wealthiest family in America. Their wealth was derived from Cornelius Vanderbilt and his shipping and railroad empires, which they expanded into other businesses. Biltmore gets its name from "Bildt," an area in Holland the family came from, and "more" which is Old English for a hilly countryside. The estate was once 125,000 acres, but it now stands at 8,000 after George's wife sold off the remaining acreage per his wishes after he passed away. The 175,000 square foot mansion features 250 rooms-34 bedrooms, 43 bathrooms, 65 fireplaces, and a basement that has a pool, gym, kitchen, and servants' quarters. 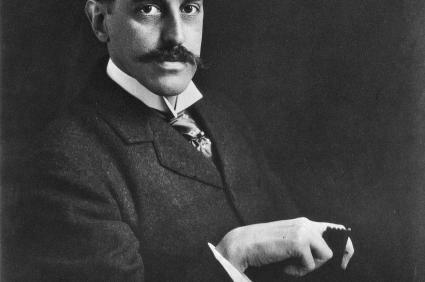 The 125 acres of gardens and parklands were developed by Frederick Lee Olmstead, who is credited with designing Central Park in New York City. The Biltmore Estate is open 365 days a year, but operating hours vary based on the season, so check their website to verify hours for your particular planned day of visit. Admission options range from one day tickets to annual passes. Tickets range in price. Adults with 6 day or less notice pay $60. If you purchase tickets 7 days in advance or more, you'll pay $55 per adult. If you plan to visit on Saturdays, they are high volume days and you'll need to choose your entry time for the house. Other sites might offer the same or similar discounts, like Groupon. 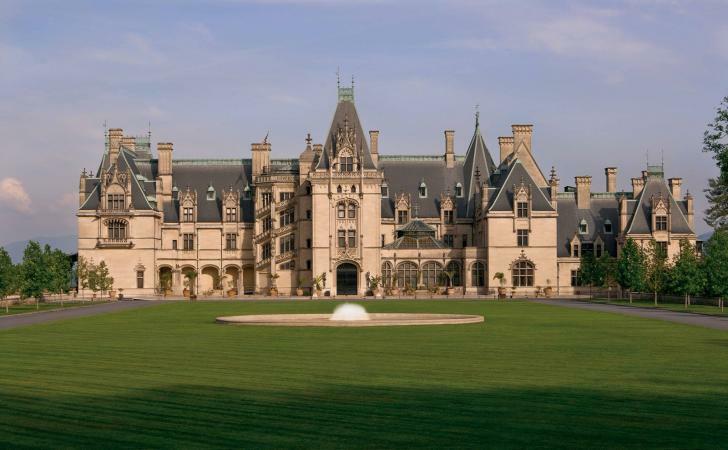 If you live near Asheville or think you'll be visiting the Biltmore Estate a couple times per year, it may be worth looking into an annual pass. Biltmore annual passes are $159, plus applicable tax, and they include a variety of perks like discount tickets for your guests; dining, lodging, and shopping discounts; and discounts on area attractions. You will need a vehicle to travel between locations on the estate. There is a shuttle bus from the parking lot to the Biltmore House itself; however, there is no transportation between the house and the winery, for example. Seasonal shuttles operate between April and December from the house to the Conservatory. To give you an idea on distance, it's a three mile drive from the entrance gate to the house, and another five miles to the winery. You don't have to just stay the day at the Biltmore Estate; you can opt to spend a night or two on the grounds! There are three options to choose from. All three options include complimentary shuttle service, self-parking, and Wi-Fi. No pets are allowed (except service animals) and all buildings are smoke-free. Be sure to check the website for current discounts and special seasonal hotel packages. 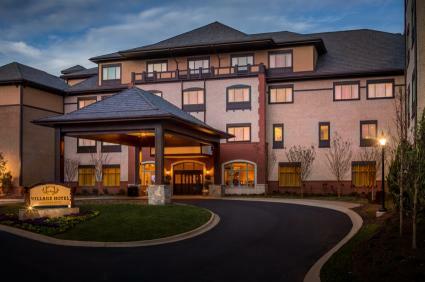 You can choose room packages that include estate access for the entire length of your stay. Overnight bookings include access to Antler Hill Village and Winery. 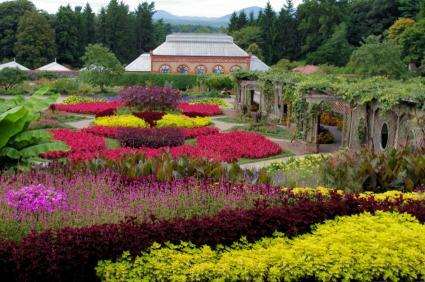 Visiting the Biltmore Estate is more than just touring the house. There are dozens of events that take place throughout the year. Some events are included with your daily admission or with reservations at one of the estate's hotels. 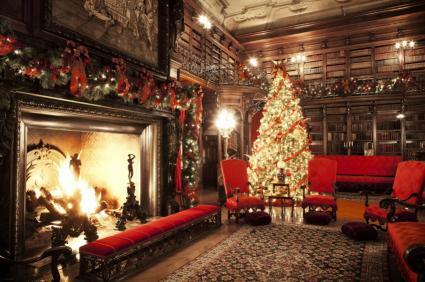 Christmas is a popular time at the estate, especially for candlelight tours, which are a separately ticketed event from the daytime admission. The house is decorated with beautiful trees and lights, including a 55-foot Norway spruce on the front lawn that is adorned with 45,000 lights. There are singers performing traditional Christmas songs as well. Candlelight Christmas Evenings start in early November and run until early January. Prices vary on the night chosen, and tickets include daytime admission to Antler Hill Village and Winery, gardens, shops, and restaurants with a special holiday menu (additional fee) on the day of your evening event or for the following day. Allot some time to visit Antler Hill Village and Winery. Back in the 1890s, it was the home of the Biltmore Dairy. Today, you can check out The Barn Door, with its selection of American made crafts and Smokehouse, serving up some Carolina BBQ. There is a farm that families will enjoy visiting. The Farmyard is a playground for kids, complete with a lookout and rock climbing formation. Admission to Antler Hill Village is complimentary with your estate admission. There is also an Outdoor Adventure Center where you can book different activities like biking, river float trips, stand up paddleboarding, and even Land Rover expeditions. When it comes to food, there is no shortage of options for dining. 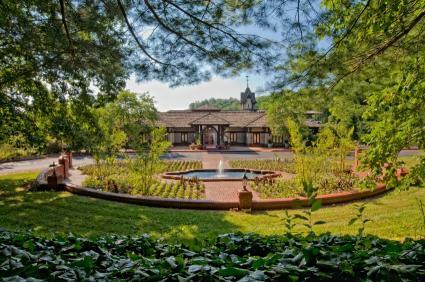 There are several restaurants and food options in the Biltmore House, as well as at the hotels and in Antler Hill Village. Keep these helpful tips in mind to streamline your visit to the Biltmore Estate. The estate is massive, so it's good to plan your day before arriving. 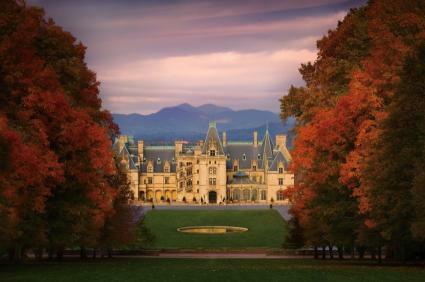 Download this helpful Guide to the Biltmore House rooms from Romantic Asheville. There is wheelchair access to the Walled Garden when you use a designated parking lot next to the Conservatory. On high volume days, it's vital to reserve your time to visit the house at the same time you purchase tickets as one reviewer noted she could not get in during a peak volume day. Use the restroom near the Information Booth as there are no public restrooms inside the house itself according to one reviewer. Arrive at least 45 minutes to an hour ahead of your reservation time to allow time to park and catch a shuttle. Wear comfortable shoes as you'll be walking all day. The busiest day of the week is Saturday, especially in April, May, November, and December. Do the audio tour as some reviewers feel it added to their experience immensely. Spending time at the Biltmore Estate is definitely recommended if you're visiting Asheville and/or the Blue Ridge Mountains. Try to allow for more than one day to give yourself time to explore Antler Hill Village and Winery, in addition to the Biltmore House and Gardens.